Maybelline parent L'Oreal is pairing up with Facebook to roll out virtual tests for shoppers to see how they might look with different lipsticks or eye shadows, adding to its push to drive more sales online and through social media networks. Cosmetics firms including L'Oreal rival Estee Lauder and retailers like LVMH's Sephora are investing heavily in technology, in an age of selfies and beauty bloggers that has helped shift the industry onto the web. 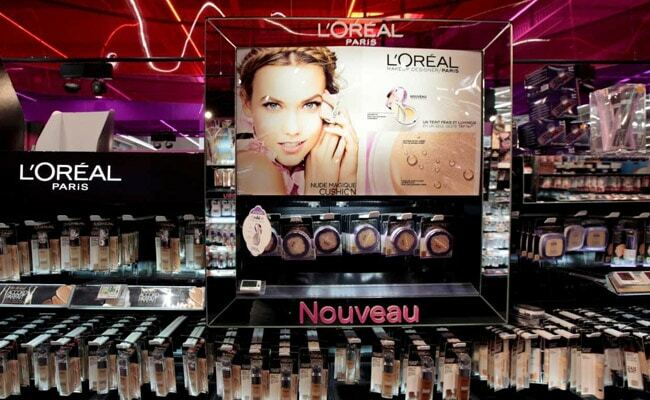 France's L'Oreal, the world's biggest cosmetics group, bought Canadian augmented reality and artificial intelligence specialist ModiFace in March. It said on Thursday that the Toronto-based company had now teamed up with Facebook to develop augmented reality experiences on the platform for L'Oreal brands, starting with NYX and including Urban Decay, Lancome and Yves Saint Laurent. Customers will eventually be able to try on anything from foundation shades to eyebrow shapes and hues, said L'Oreal's chief digital officer Lubomira Rochet, adding that the virtual tests helped the company clinch sales. "What we've seen on our sites is that when there is a virtual test facility, conversion rates increase significantly," said Rochet. Social media networks had become the biggest growth driver of web sales for L'Oreal in terms of attracting shopping traffic, though purchases are redirected to take place on brands' own sites or third party online retailers, Rochet added. The French company said e-commerce revenues reached 9.5 percent of all its sales in the first half of 2018, up from close to 5 percent three years ago. The virtual testing technology should eventually be rolled out on Facebook's photo-sharing networking site Instagram, Rochet said. In China, where Facebook is blocked, Rochet said L'Oreal was also talking to other partners about similar deals, without naming them. Luxury goods groups in China do a lot of business through Tencent's messaging and networking site WeChat. Facebook said it had begun testing augmented reality in advertising as of July, with Sephora and brands like fashion group Michael Kors.